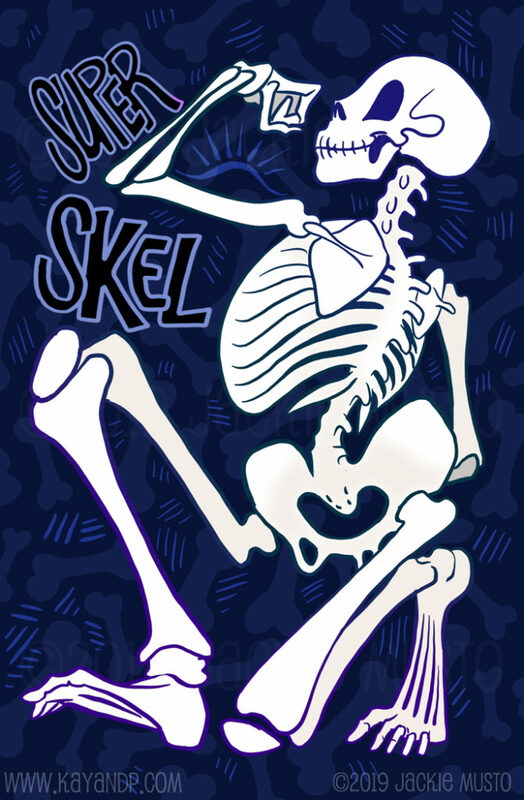 Not sure how the J-man feels about skeletons, P.
It’s a blast from the past! 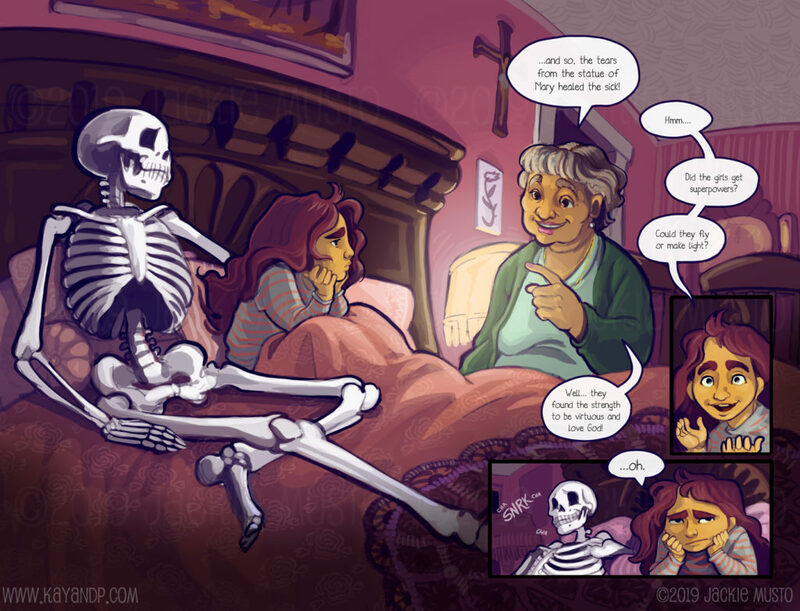 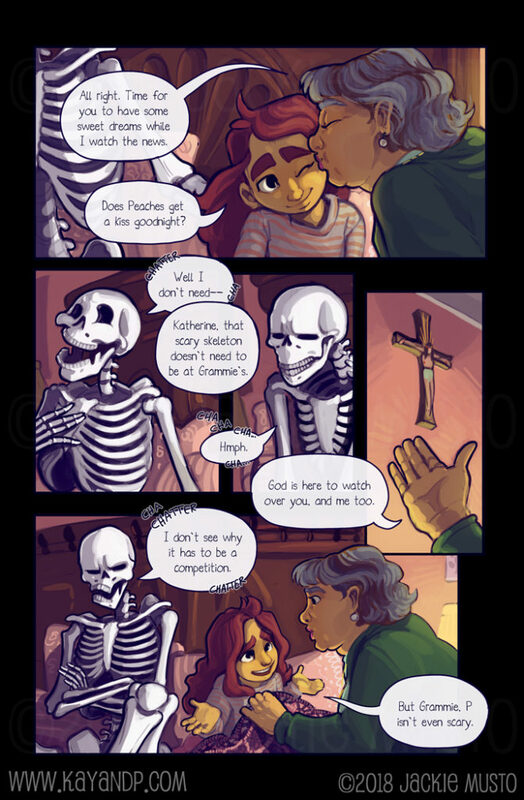 Before the next proper chapter, please enjoy this special skeletal story! 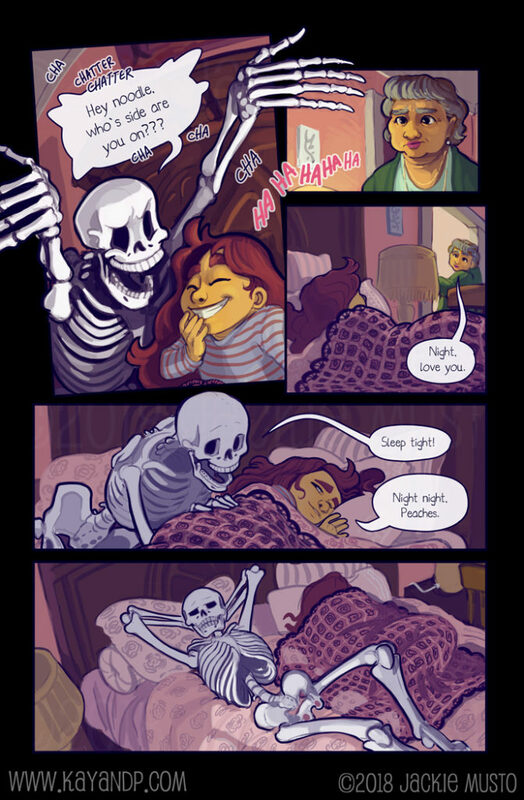 Big news coming soon – it’s just about time for Volume 5 of Kay and P!